BANGKOK, 3 September 2014 (IRIN) - Activists warn of a harmful regression in the World Bank's safeguard policies, claiming that proposed changes being considered this autumn could weaken the rights of indigenous people, and others in danger of displacement and abuse as a result of Bank-funded development projects. 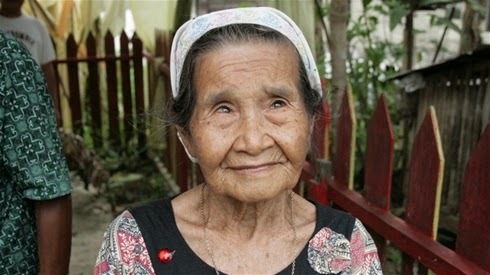 "This [version of the safeguards] will be dangerous backsliding into their bad legacy of treatment against indigenous people if it is approved," said Joan Carling, secretary-general of the Asia Indigenous Peoples Pact (AIPP), a network that operates in 14 Asian countries. According to the World Bank, "the proposed Environmental and Social Framework builds on the decades-old safeguard policies and aims to consolidate them into a more modern, unified framework that is more efficient and effective to apply and implement." However, campaigners say the current draft dilutes the protective promise of the safeguards and fails to include indigenous rights considerations in projects funded by the World Bank by obtaining "free, prior, and informed consent" for development interventions. The proposed changes, including an "opt out" policy, could leave development decisions solely at the discretion of governments. In a 22 July statement the Bank Information Centre (BIC), an independent watchdog, explained: "The Bank is proposing a new loophole that allows governments to 'opt out' of following requirements related to indigenous peoples, which would be a major blow to indigenous peoples who have counted on the Bank to recognize them when governments refuse." The World Bank was the first multilateral development bank to introduce an indigenous people's policy (in 1982). Other adjustments suggest a broader attempt to roll-back responsbilities: "The elimination of clear, predictable rules also appears to be a clear attempt by the Bank to avoid accountability for the negative impacts of projects that it funds," BIC said. With more than US$50 billion in development aid at risk of being funnelled into projects that could forcibly evict, displace, or fail to adequately compensate communities for resource losses, pressure is mounting on the Bank as board meetings begin on 3 September. The pending amendments retain the requirement for project-affected peoples' "free, prior and informed consent" to relocate; proper compensation; labour rights of workers; and non-discriminatory development. However, the draft includes options for the Bank's non-compliance, which leaves it for governments to decide how to proceed with projects - including by ignoring indigenous people. "Allowing [governments] not to recognize groups [as indigenous] is incredibly problematic particularly when we know the history of government violating indigenous peoples' rights," said Jessica Evans, senior researcher on international financial institutions at Human Rights Watch's (HRW). According to the UN Declaration on the Rights of Indigenous Persons (UNDRIP), indigenous people are those who maintain historical continuity with pre-colonial groups, have strong relationships with natural resources and land as the basis of their cultural and physical survival, and self-identify themselves as indigenous as part of their belief systems which differ from the dominant society. While UNDRIP has been adopted by 143 countries, domestic implementation has been limited. The draft safeguards give governments a loophole to escape recognition of indigenous persons when it comes to Bank-funded development interventions status if it causes conflict or goes against the constitution of the country. According to a 30 July statement from the Bank about the proposed safeguards draft, indigenous status can be opted out of "in exceptional circumstances when there are risks of exacerbating ethnic tension or civil strife or where the identification of Indigenous Peoples is inconsistent with the constitution of the country..."
As the draft safeguards go under review by the Bank's board, activists warn that without major reform to the draft, consultations with indigenous groups when designing and implementing development projects have little meaning. "If they provide the opt out option for recognizing indigenous groups, indigenous people will suffer adverse impacts," warned AIPP's Carling, adding that government refusal to acknowledge the indigenous status of many ethnic minorities can be a contributing factor to statelessness, poverty and forced relocation. A root concern about the proposed safeguards is that they shift the onus for environmental and social responsibility away from the Bank and onto borrowing governments, which means funds could go to states already notorious for land grabs, corruption and human rights violations. In recent years researchers have documented cases of forced evictions in poor communities as a part of World Bank-funded projects. For example, in East Badia, a community in Lagos, Nigeria, Amnesty International reported that 9,000 people had their homes razed to make way for luxury apartments. In Colombo, Sri Lanka's capital, up to 135,000 families will be relocated in the next three years to make way for urban development, the Centre for Policy Alternatives (CPA), a Sri Lankan NGO, argues. In East Badia, community protests against the razing of homes met all of the requirements to trigger the safeguards for a full World Bank investigation. However, the Bank's eight-member board instead decided to institute a pilot project for resettlement which compensated communities one-third below the market rate for informal housing in Lagos. "The compensation was so low it did not enable them to live anywhere else except another slum or precarious accommodation which will put them in danger of being forcibly evicted again," said Alessandra Masci, Amnesty International's senior analyst for business and human rights, and lead researcher for the report on Lagos. The Bank's pilot, implemented in November 2013, was in line with the new direction of the bank (and the draft safeguards currently under consideration), in which vague language creates flexibility in decision-making for the Bank and the borrower government - leaving the poor to fend for themselves, analysts say. "Banks and panels are standing back and leaving communities completely alone to deal with entities much more powerful than them," explained Masci. In the case of Sri Lanka, the government, armed with US$213 million of World Bank loans, will forcibly relocate an estimated 300,000 people under the Metro Colombo Urban Development Project (MCUDP), according to CPA. A commitment to ending poverty? Critics warn that without airtight safeguards for vulnerable people, the rights of indigenous groups will continue to be violated by development projects, and undermine the very target the Bank has set for itself: to end poverty. While indigenous people comprise 5 percent of the global population, they make up 15 percent of all people living beneath national poverty lines globally, according to the UN. "In order for grievance mechanisms to work, environmental and social standards need to be clear and prescriptive," said Kristen Genovese, a senior attorney with the Center for International Environmental Law (CIEL), a Washington-based watchdog. Some fear that growing competition in international lending - with the emergence of Chinese and Japanese development banks, the Asian Infrastructure Investment Bank, and the BRICS bank - may stoke a fear of losing clients and trigger a race-to-the-bottom panic. Experts argue that the World Bank should see its safeguards as an opportunity to assert its position as a global leader. "Competition is good. It means more finance for development," said HRW's Evans. "The Bank could show other lenders best practices and be a model development bank." Sophie Chao, a project officer with the Forest People's Programme (FPP), a Netherlands-based indigenous and environmental rights organization, said: "Setting the standard is something an institution as powerful and influential as the World Bank should be considering as mandatory, rather than optional." Carling asked: "If their main target is to address poverty - if not for the poor, who is development really for then?"